Soup is delicious at anytime of year, but this year New Covent Garden Soup Co are urging people to not just cook sausages and burgers on their barbecues but also some soup! New Covent Garden Soup Co are deliciously fresh soups that are not only so full of flavour but are also a versatile ingredient. With your favourite New Covent Garden Soup Co flavour combination you can easily create a tasty side dish or revamp your vegetable skewers. 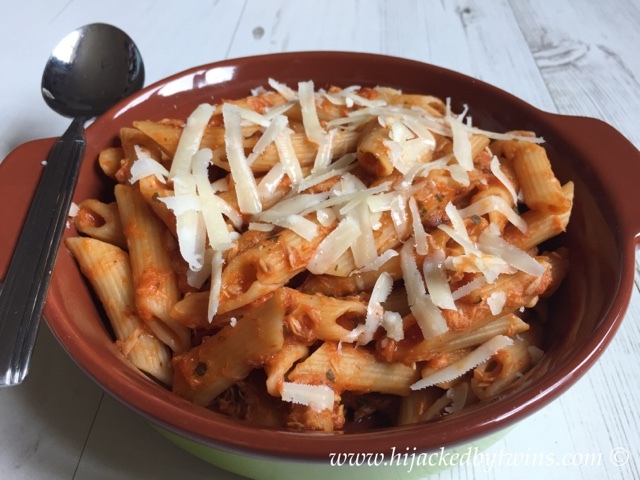 Today I am going to share with you a pasta dish that has been a huge success in our house. It is so quick and easy to make and is a delicious side dish, or a main meal. 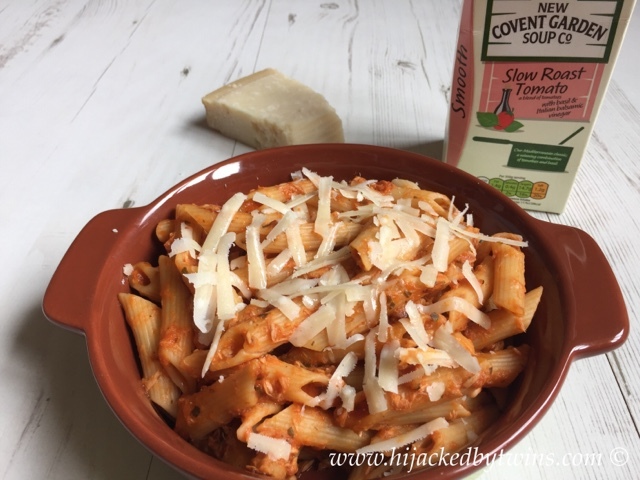 For my recipe I have used New Covent Garden Soup Co Slow Roast Tomato. Their slow roast tomato, basil and balsamic vinegar soup goes perfectly with pasta. This soup is full of the flavours of the Mediterranean. To create the soup the cooks at New Covent Garden Soup Co have used a mixture of slow roasted and sun dried tomatoes which gives this soup a real depth of flavour. They then add garlic, basil and finished with balsamic vinegar to produce a "blissfully smooth bowl of rich soup". It also contains 2 of your recommended 5 a day! In the dish I used tuna but it would also be perfect to cook using leftover barbecue meat. 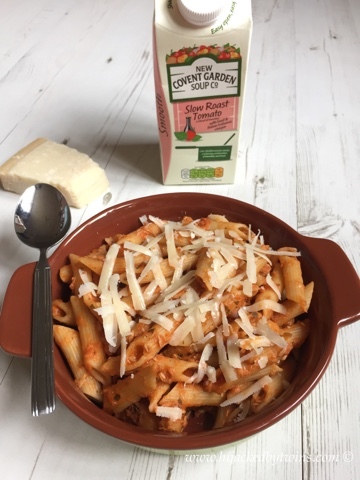 Whatever you add with the pasta New Covent Garden Soup Co help you to create a full of flavour dish. Perfect for summer! A very innovative way to use the soup in a pasta dish. Pasta looks great. What a great idea, and a great way to enjoy soup! Hi Kirsty, this slow roast tomato soup sounds really tasty. Basil and balsamic vinegar compliment the taste of tomatoes well. Using a soup as a sauce is a clever idea and would add a lovely taste, especially if the tuna is barbecued. Love Covent Garden Co Soup! Great idea with the pasta. I've never thought to do this before what a great idea. Not a tuna fan but I know my daughter will love this! What a great way of enhancing the flavour of BBQ food even more. The soup sounds delicious too with all the tomato flavour. Looks delicious. 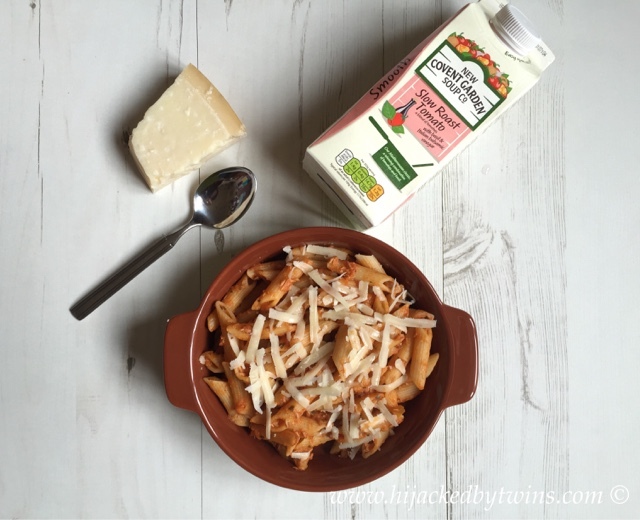 We love tuna pasta in our house and generally have it every week if not every 2 weeks. I love putting Tuna in pasta, people think it's weird but it's really yummy. This looks very easy to make.